Francis Newton Souza was born in 1924 in Saligao, Goa. Souza was expelled for his behaviour while studying at the Sir J J School of Art in Mumbai. In 1947, he founded the Progressive Artists' Group along with S H Raza, M F Husain and K H Ara, among others. Souza's style created thought-provoking and powerful images. He is very well known for his distorted head portraits. 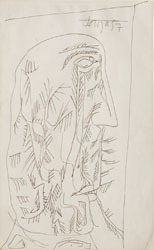 In his drawings, he managed to capture fine detail in his forms. 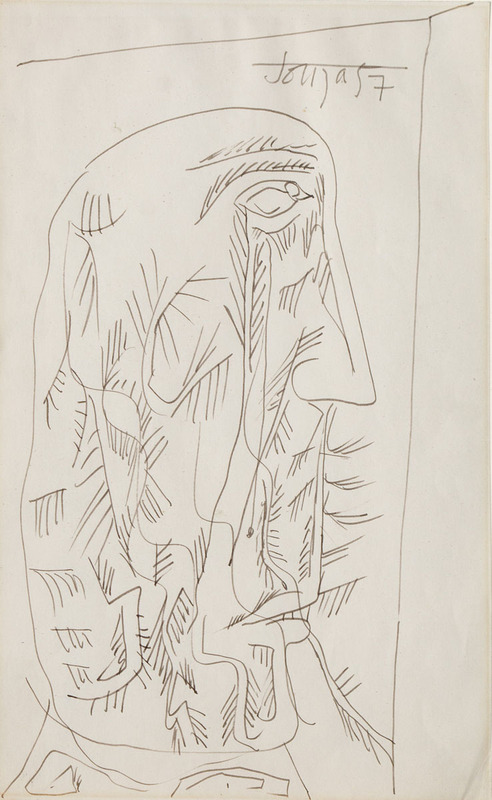 Souza also used a combination of crosshatched strokes that made up the overall structure of his subject.